Jar of water. Have class helpers change out the water while the students work. Muddy water makes for muddy colors in the painting. 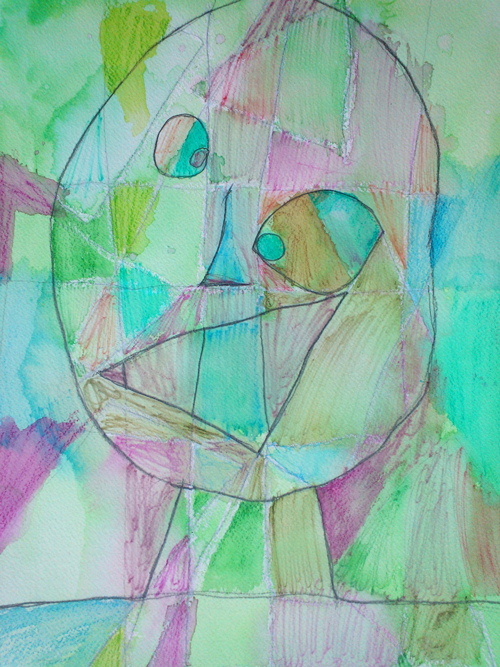 Abstraction tends to be tough for elementary school students. Here is a method I found that worked well with a class of 4th graders that produced great results and more importantly, little frustration. First, I suggest hold off handing out the paints and water until the pencil drawing part is done. 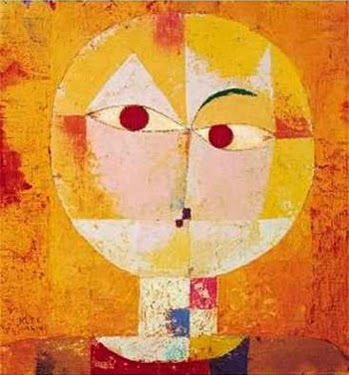 Then after briefly discussing Paul Klee and his work to the class, have them follow a series of verbal instructions. 1. Paper should be portrait orientation. Have students write their name on the back. 2. 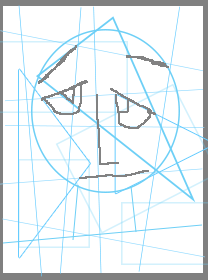 Draw 4-5 horizontal lines across (going off the edges) the page. Lines should not be perfectly spaced or parallel. 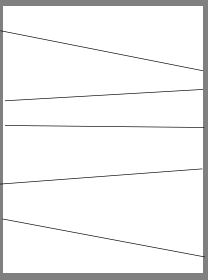 For steps 2-5, have students draw lightly as some of the line will be erased later on. 3. 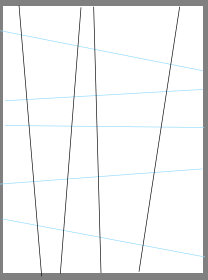 Draw 4-5 vertical lines (off the page and not perfectly spaced or parallel like above). For these instructions, from this point on the past stages will be in blue line. 4. 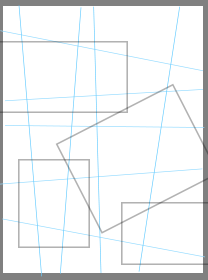 Draw 4 rectangles. 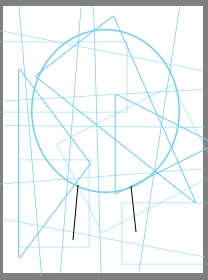 Okay to overlap and go off the page. 5. 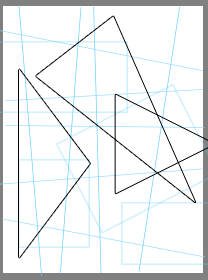 Draw 3 triangles. Okay to overlap and go off page. 6. 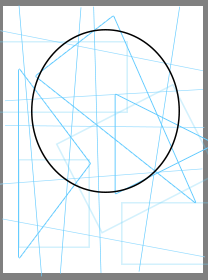 Drawing the circle for the head - should occupy about 60-75% of page. From this point on, have students press harder with the pencil as these lines will stay. 7. 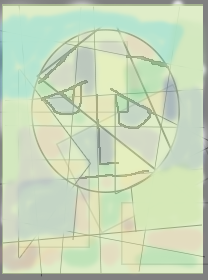 Add two lines for the neck. 8. Add line for shoulders. 9. 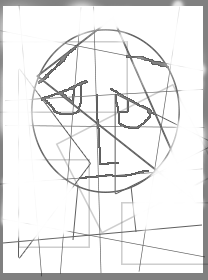 Add eyes/eyebrows, nose, mouth using geometric shapes or lines on the page. 10. 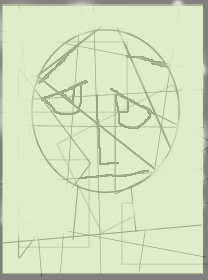 Erase most of the background lines (behind the face, neck, shoulders). 11, Using the white oil pastel, go over all the lines in the face, neck, shoulders. 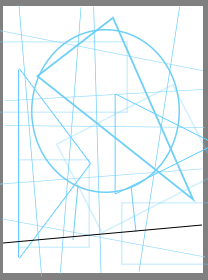 This will act as a resist and help with containing colors within the shapes. 12. Pass out the watercolor paints, water, brushes. Using water only, have the students go over their entire page with the wider watercolor brush. While still wet, have them go over the entire area again with one color - not too dark so that other colors can been seen and added. This helps to unite the colors. 13. Add color to the face, neck, shoulders. Can color in each shape, leave some the color of the wash, connect several areas together with one color, etc. 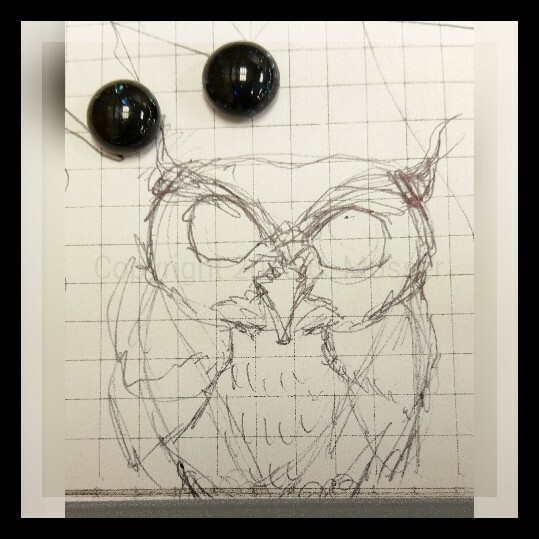 At this point, aquarelle pencils can be used if desired. Below is a painting done in class by a 4th grade student.